Royal Ace Casino is a RealTime Gaming powered online casino with a clean and elegant design worthy of the royal descriptive in its name. With 130+ games including slots, table games, specialty games and video poker, Royal Ace Casino’s selection of RTG games is one of the best on the market. This online casino has an open-door policy towards USA players, who also happen to make up most of this casino’s player base. 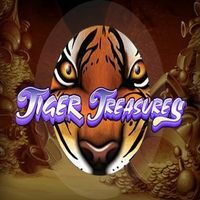 Avid slot players will be met with several RTG slots including newest releases such as Samba Sunset, but also old-timer classics such as Achilles, Enchanted Garden, Aztec’s Treasure, Caesar’s Empire, Cleopatra’s Gold, and many more. 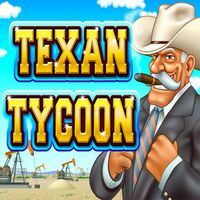 Apart from the heavily featured slot games, table games like Baccarat, Blackjack, Suit’em Up, Texas Hold’em Bonus Poker, War and others are also included in the casino game repertoire of Royal Ace. Stay tuned for the Random Jackpot feature, which is a particularity of any RTG slots, and can be won at random, irrespective of your bet size or type of slot. Video poker casino games are featured through RTG titles like Deuces Wild, All American Poker, Double Jackpot Poker, Mystery Bonus Poker, Sevens Wild, while specialty games like Keno, Treasure Tree, Craps, 5 Diamond Blackjack, and Bonus Bingo are available for those with a more peculiar taste and who don’t fancy mainstream slots or table games. All games at Royal Ace Online Casino, be it slots or specialty games, can be played in practice mode or real money mode. If you want to play on your PC, you either have to download the casino software and register to play for real money, or choose the instant play mode to play directly in your browser for free or for real money if you register. Royal Ace adopts a no max amount, “sky’s the limit” policy for the first deposit bonus they offer, which means that any amount deposited by the player will be matched 100% by the casino. 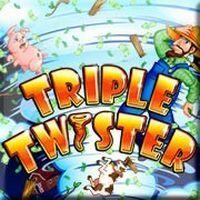 This deposit match bonus is bound to attract a lot of high roller players. Apart from the killer first deposit bonus, players can take advantage of other bonuses within the casino’s Crazy Days promotion, which grants players different type of bonuses depending on which day of the week it is. For example, the Monday Happy Hour bonus allows players to get 50% extra on any bonus they claim on Monday between 5pm and 7pm. Likewise, on Fridays, players receive a free entry to the casino’s weekly $5,000 PayDirt Slot Tournament if they make a deposit of at least $50. To see what other promotions are available for each day of the week, check out the casino’s Promotions page. 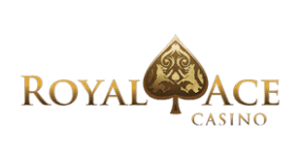 Popular deposit methods like credit and debit cards as well as e-wallet payment methods are all accepted by Royal Ace Casino. Visa and Neteller are the most widely used banking options at Royal Ace, but other methods are also available. To see if you can make a deposit with your preferred payment method, contact the casino’s customer support. 24/7 customer support is available via the casino’s live chat feature.